Each year, the Wakefield Estate co-sponsors an annual lecture with the Thacher Montessori School in Milton that looks at some of the cutting edge issues in education and child development. This year’s lecture, The Power of Play and the Joy of Learning, is a fascinating talk about the role of play in learning and child development by noted psychologist Boston College professor Peter Gray. 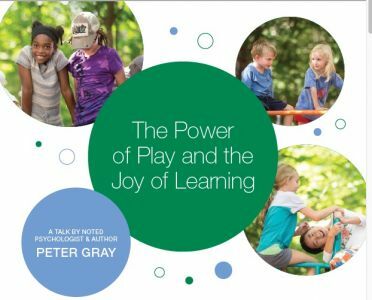 In his talk, Gray will explore how play as activity that is contributes to educational and developmental value. This lecture will be held at the Thacher Montessori School, which is located at 1425 Blue Hill Avenue Milton, MA. Free and open to the public, however, reservations are required. Please RSVP at www.thacherschool.org or by calling 617-333-0924.